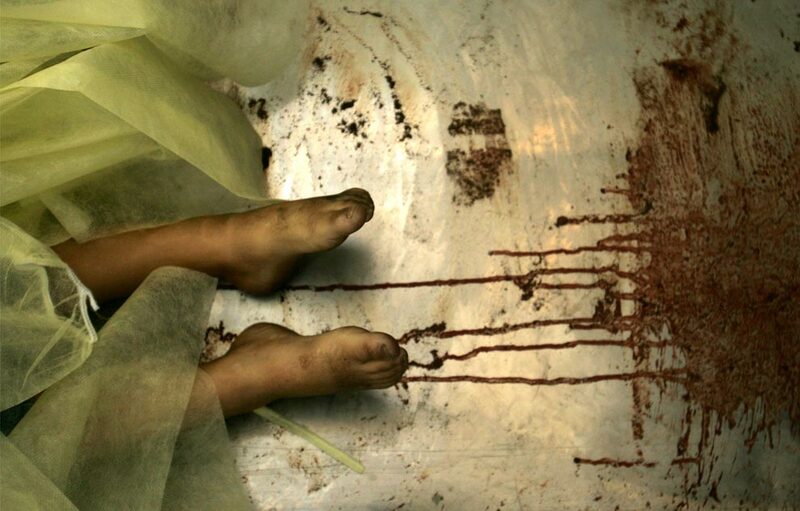 Video available for viewing at this alternative link. 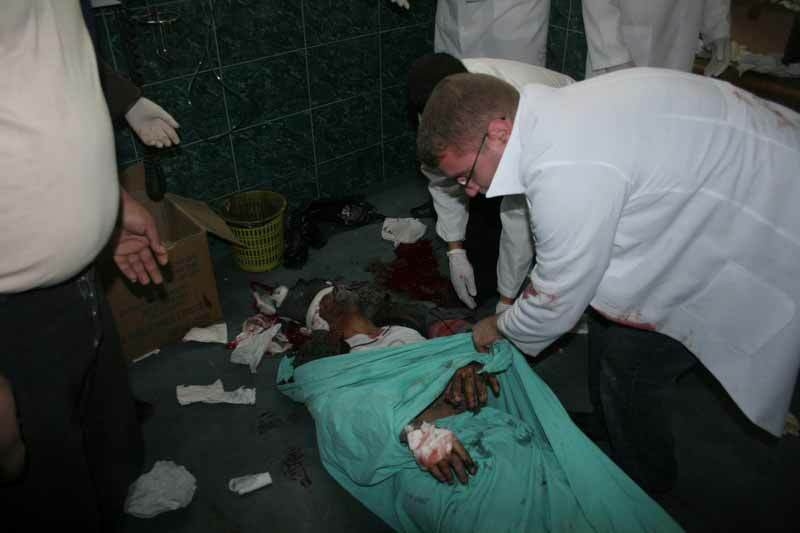 35 MB video file box with three video clips at Megaupload. 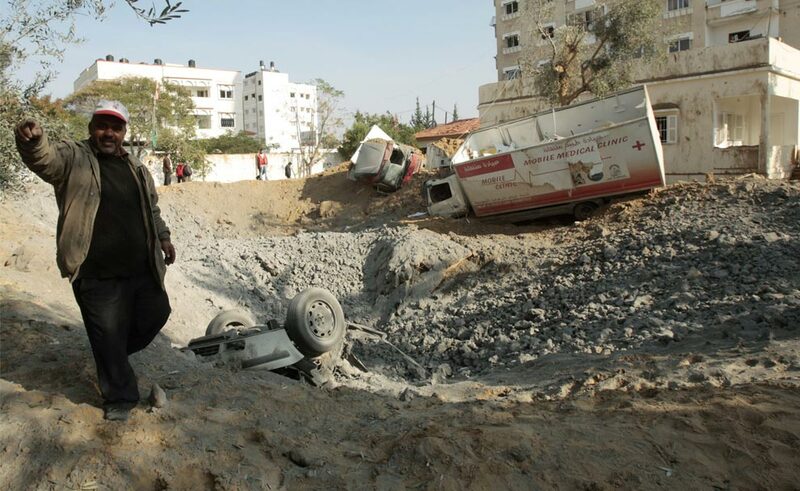 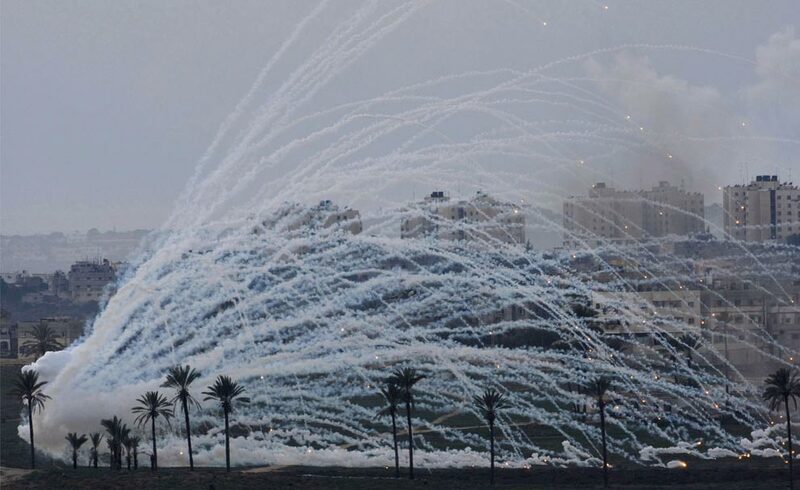 The Israeli operation – aimed at stopping rocket attacks by Hamas – is being supported by intensive air bombardment of Gaza. 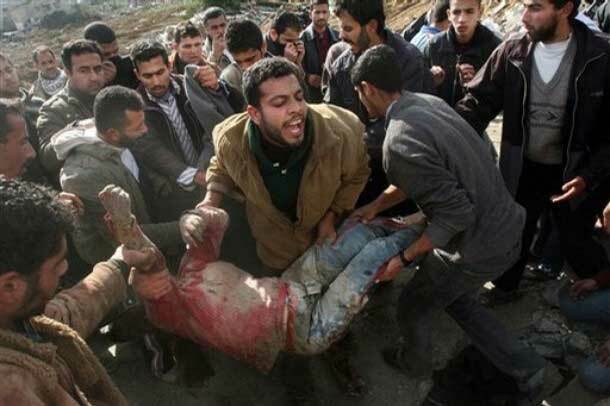 At least 19 Palestinians were killed and a number injured in clashes with Israeli troops and in air strikes on Sunday, Gaza medics were quoted as saying. 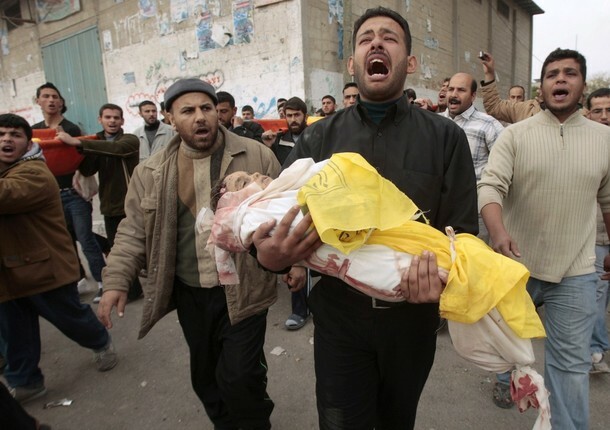 International calls for an immediate ceasefire have so far been ignored, as humanitarian crisis is deepening in Gaza. 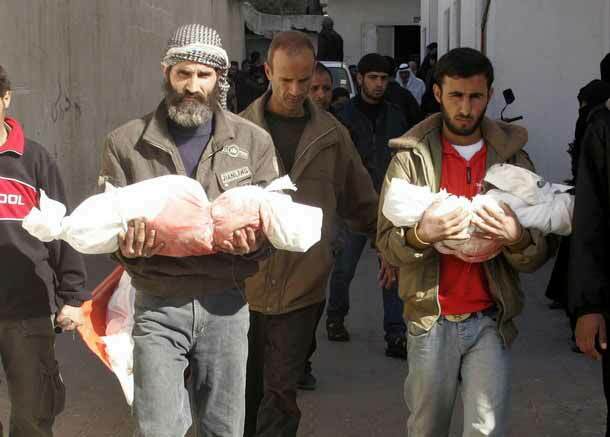 In this image taken from APTN video, Palestinian men carry two injured children into hospital after Israeli aircraft struck. 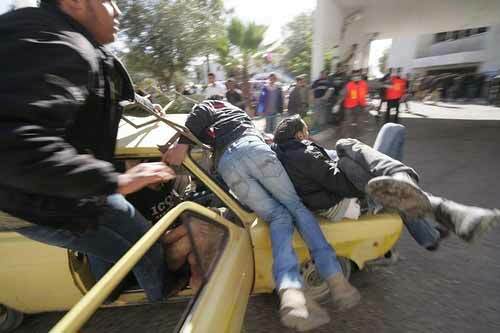 Palestinians lift a wounded woman to a vehicle after Israeli air force attacked Gaza City December 27, 2008. 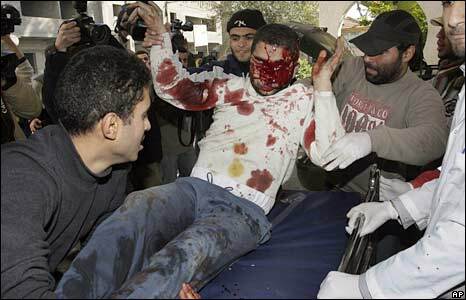 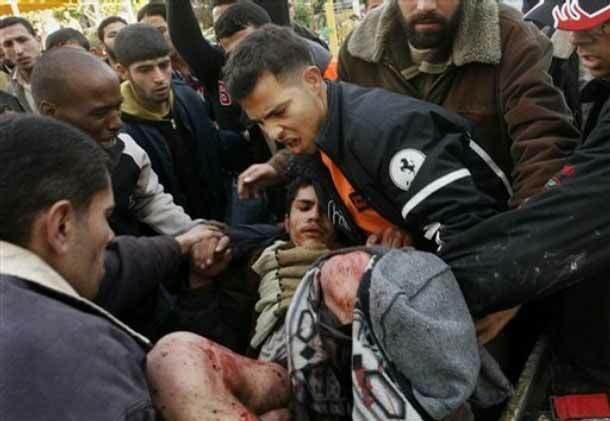 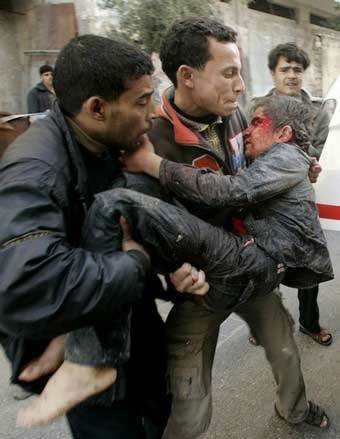 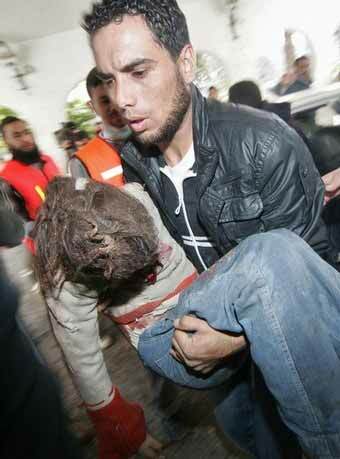 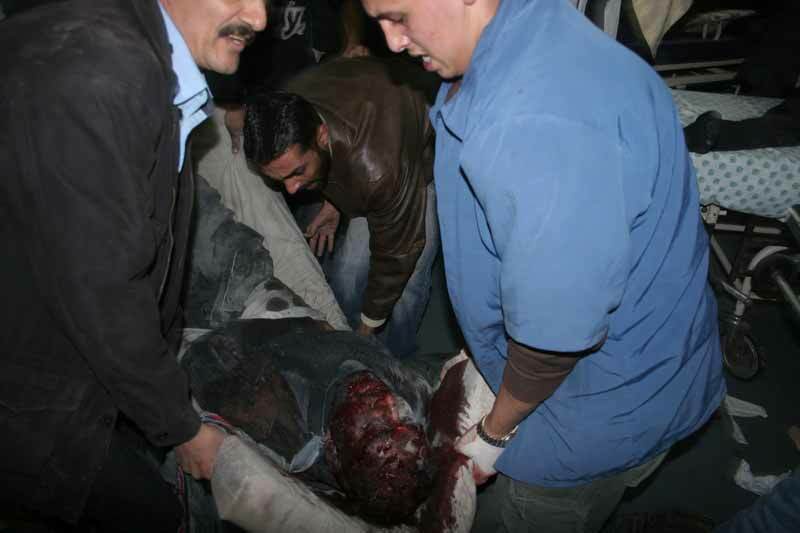 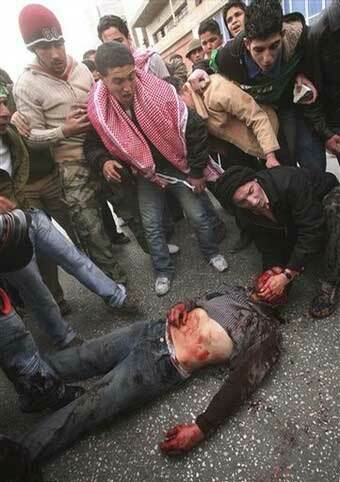 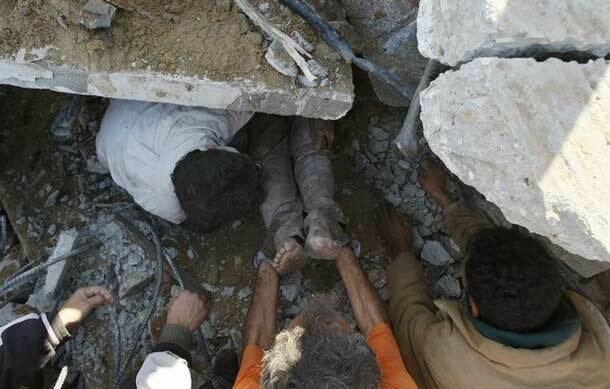 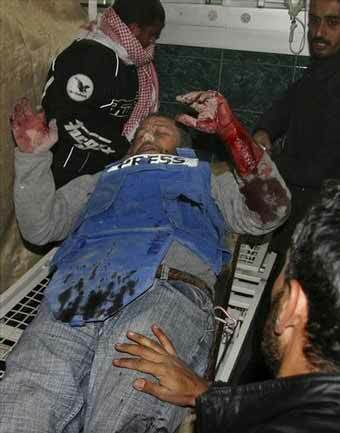 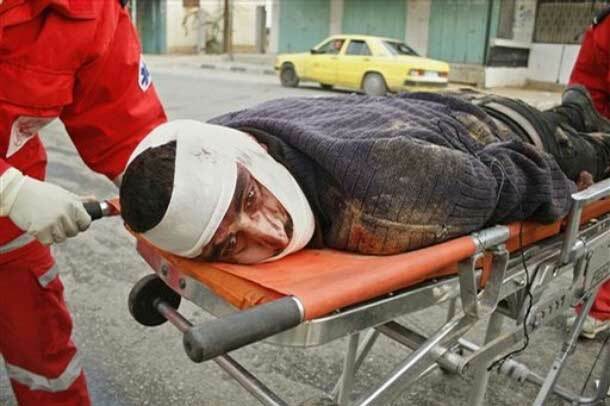 Palestinians help a wounded man after Israeli air force attacked Gaza City December 27, 2008. 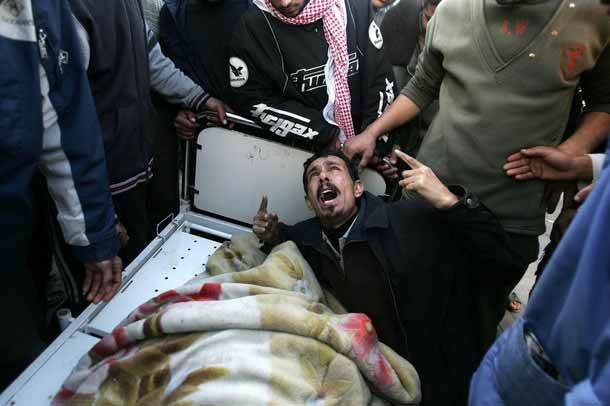 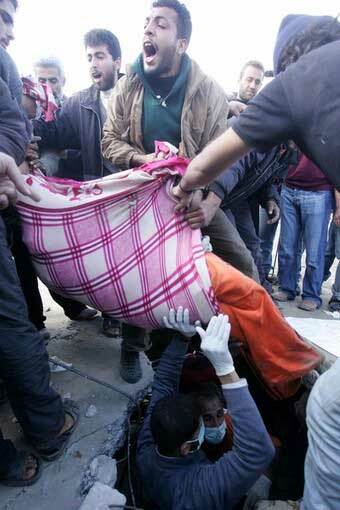 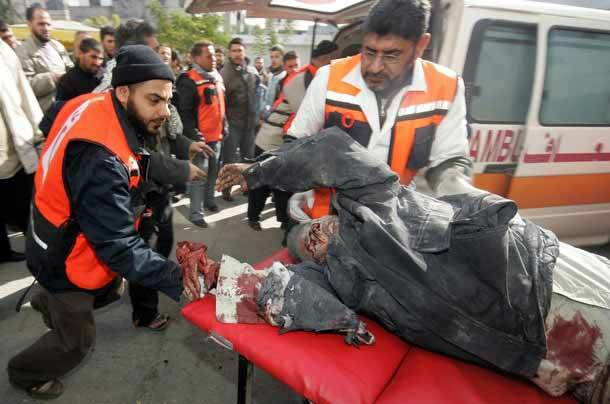 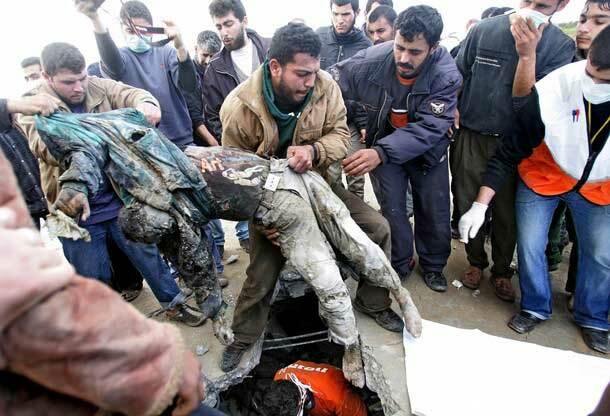 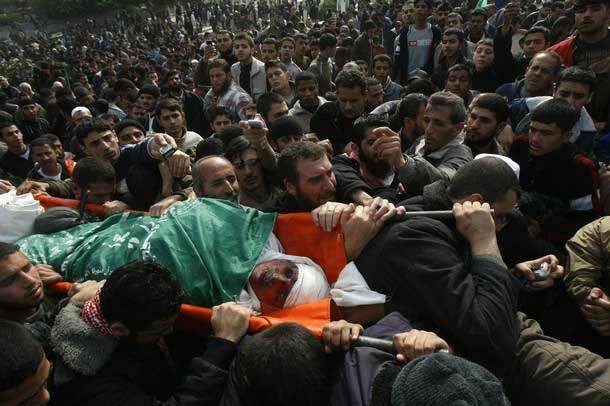 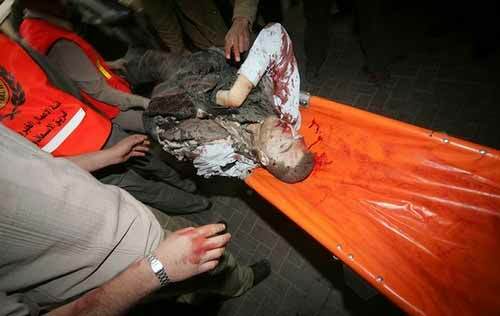 Palestinians transport the body of a Palestinian after Israeli air force attacked Gaza City December 27, 2008. 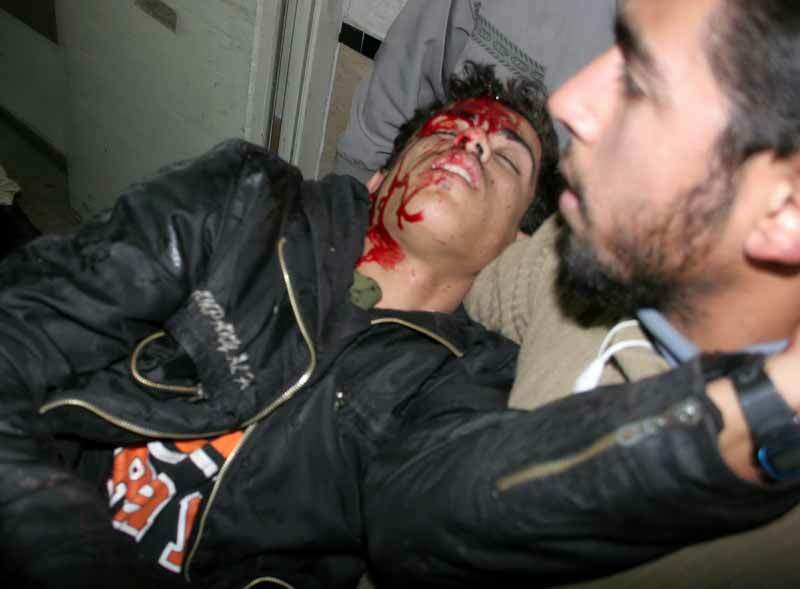 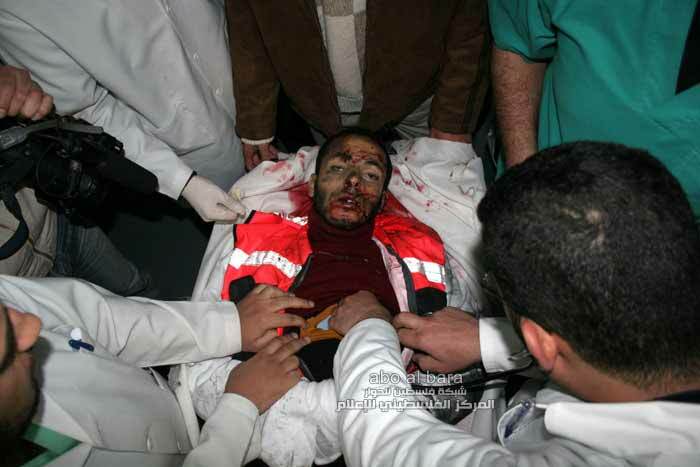 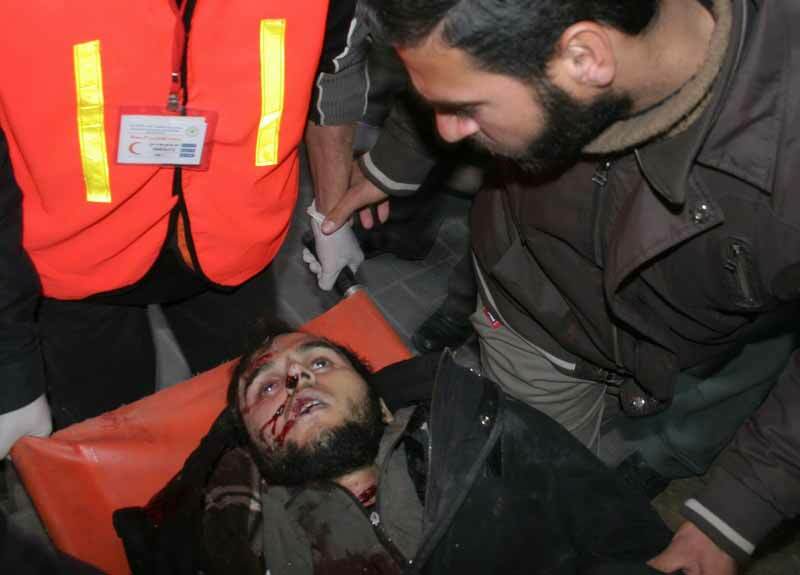 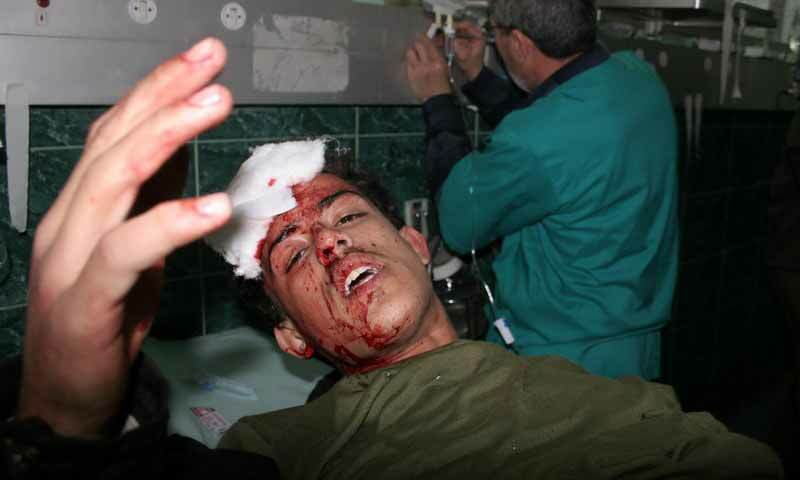 A Palestinian is rushed to hospital after he was wounded in an Israeli air strike on Gaza City. 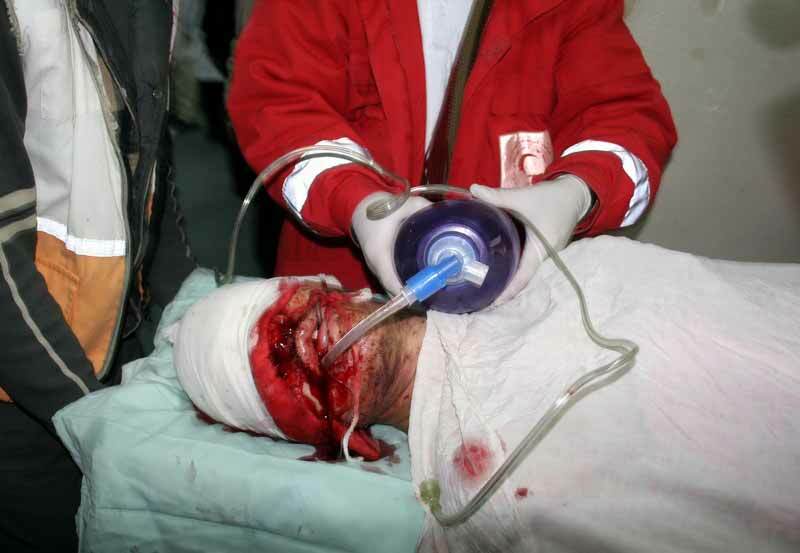 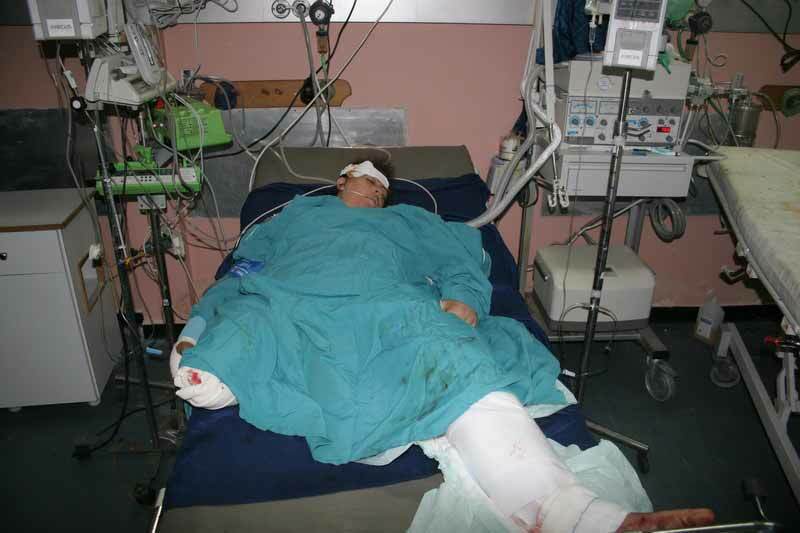 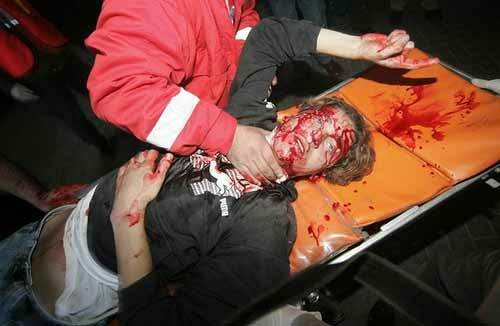 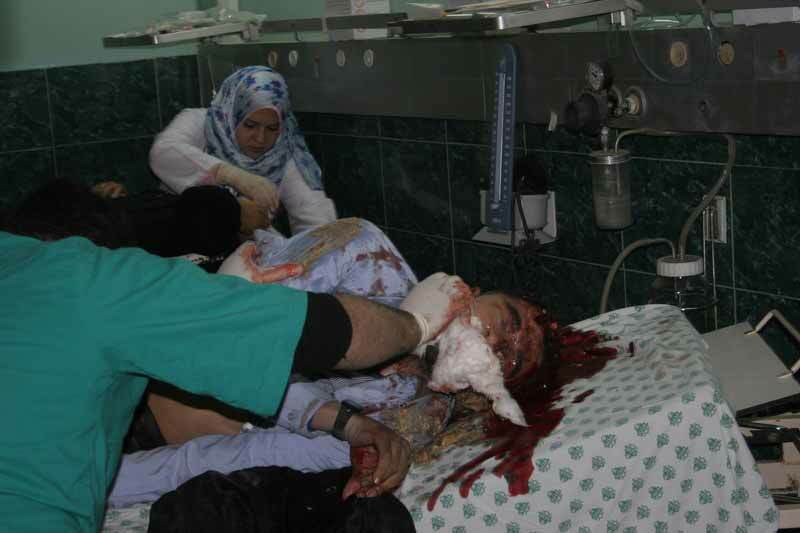 A wounded Palestinian woman is rushed into hospital in Gaza City December 27, 2008. 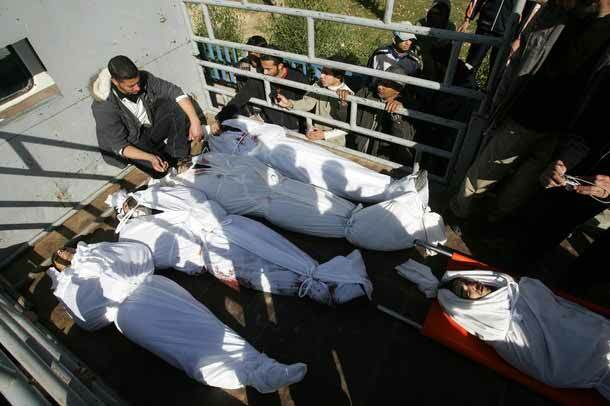 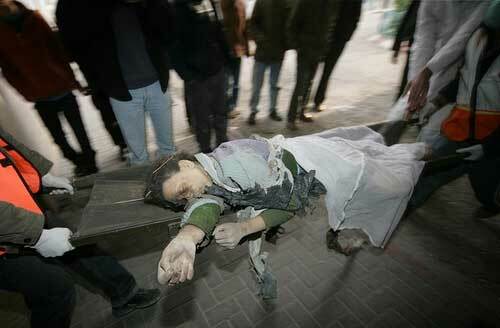 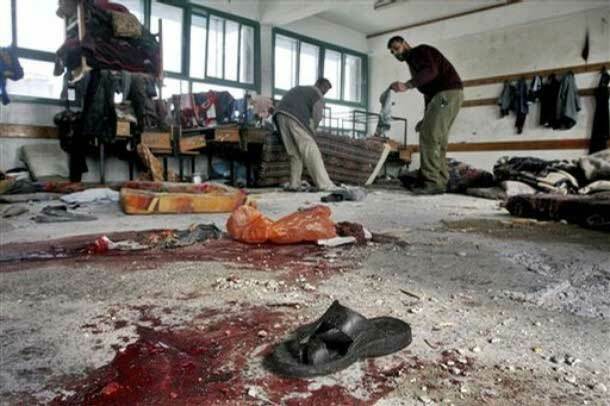 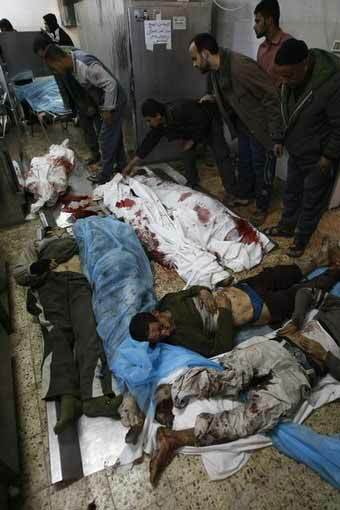 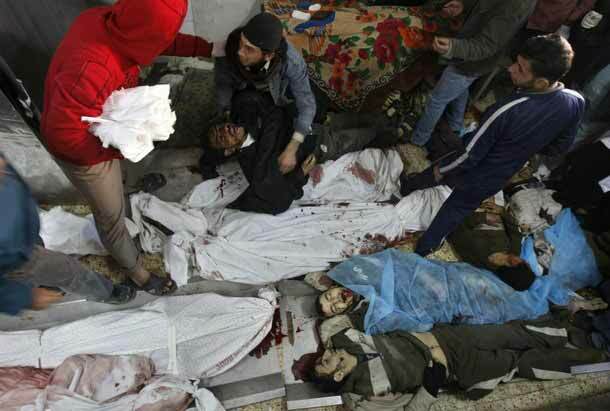 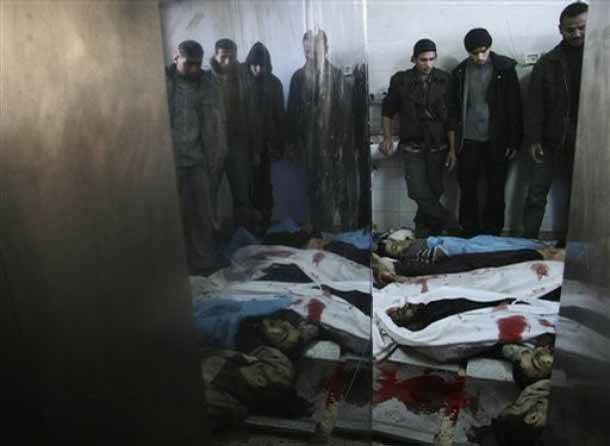 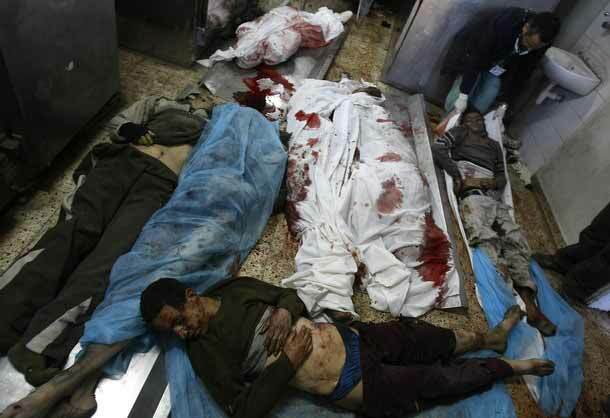 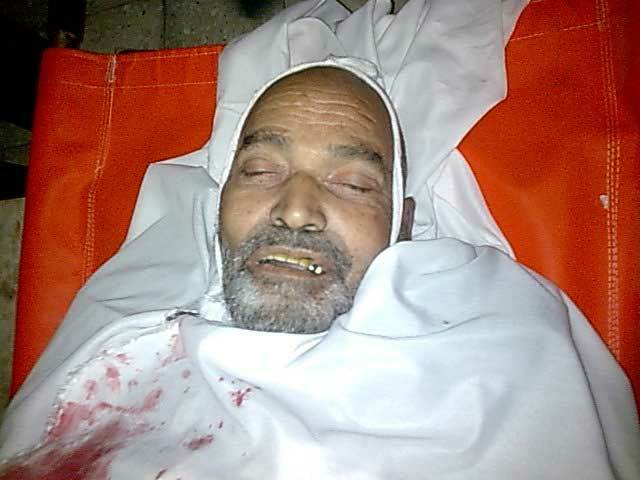 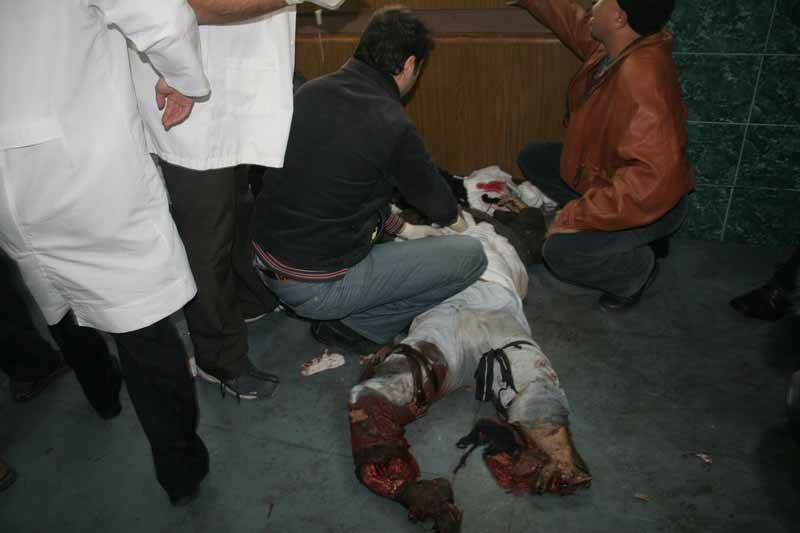 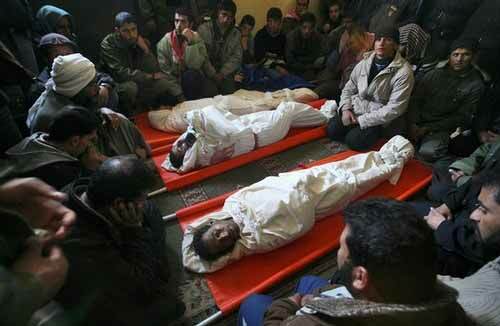 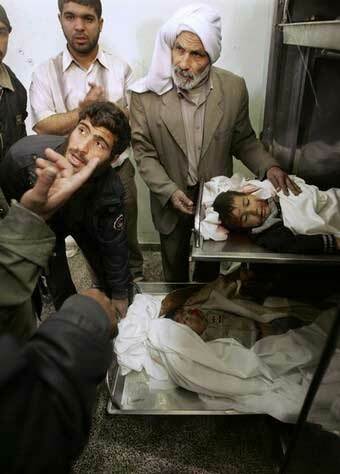 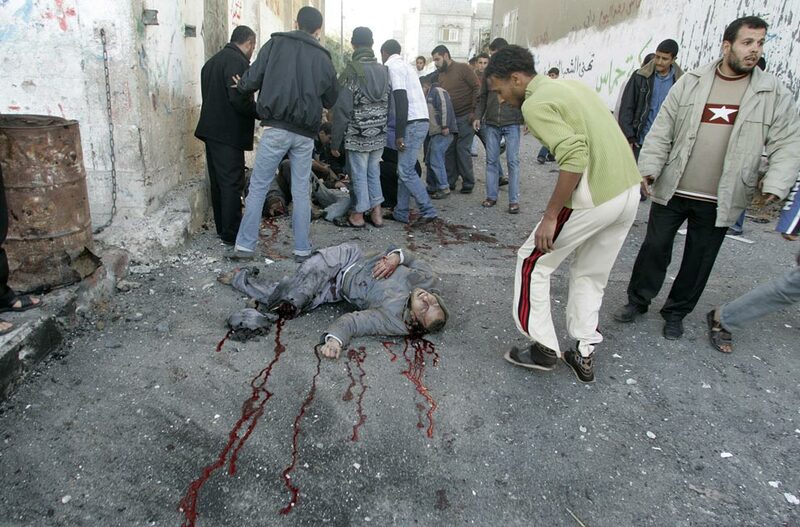 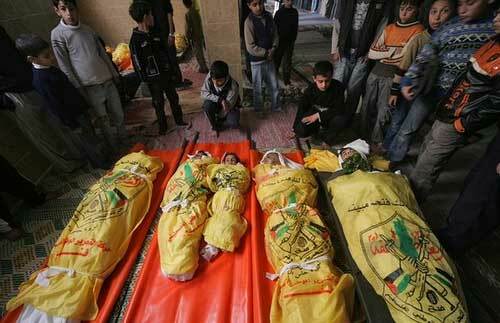 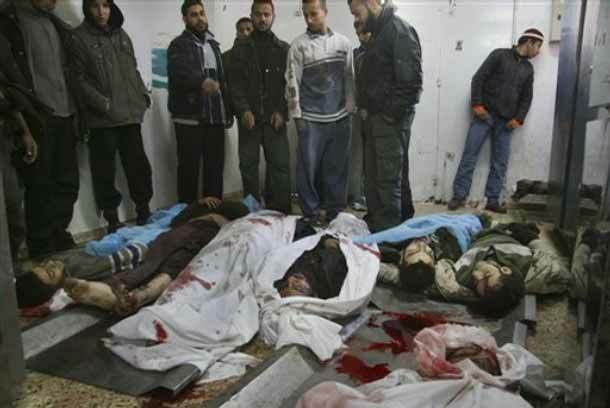 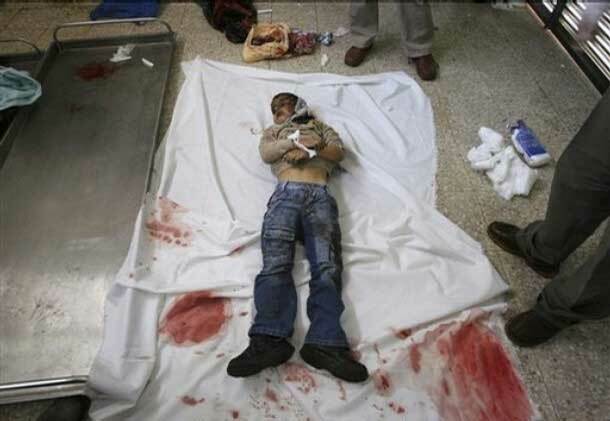 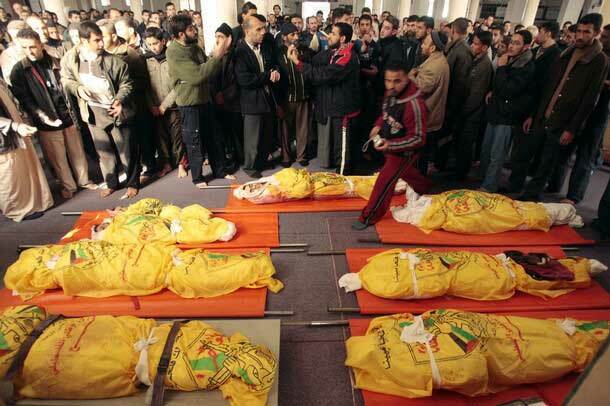 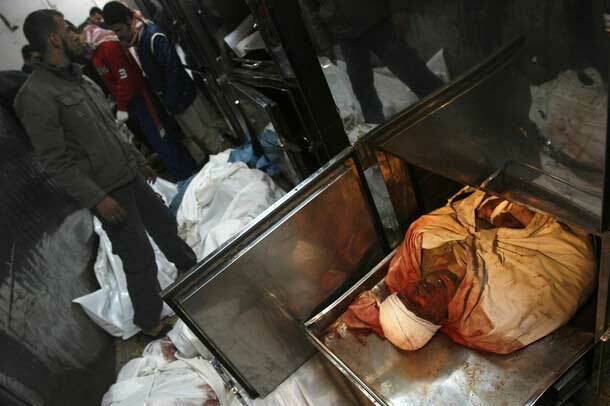 Bodies of Palestinians are seen at Shifa hospital in Gaza December 27, 2008. 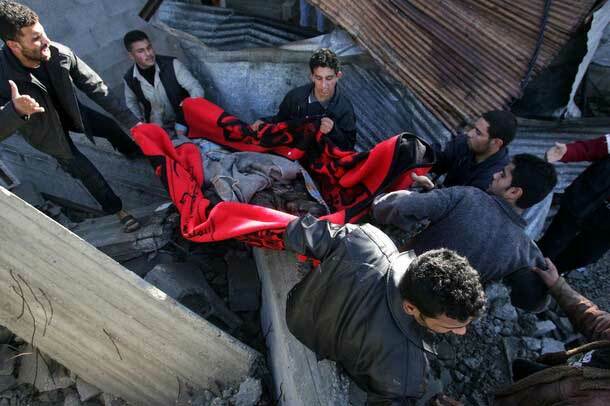 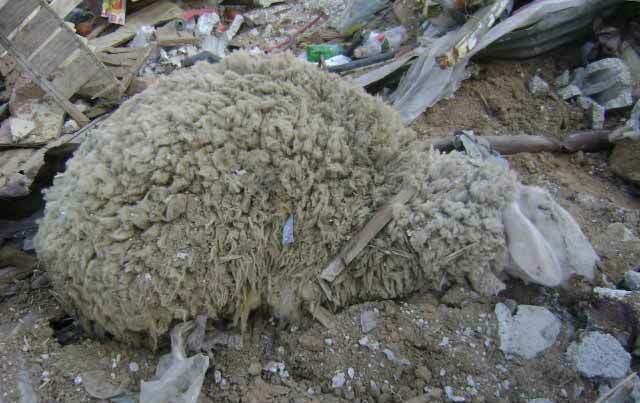 Palestinians inspects a destroyed Hamas police compounds following an Israeli air strike in Gaza December 27, 2008. 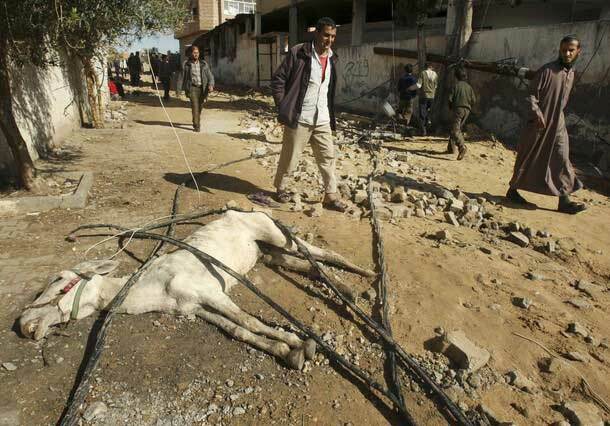 Palestinians inspect the site of an Israeli air strike in Rafah, a town in the southern Gaza Strip. 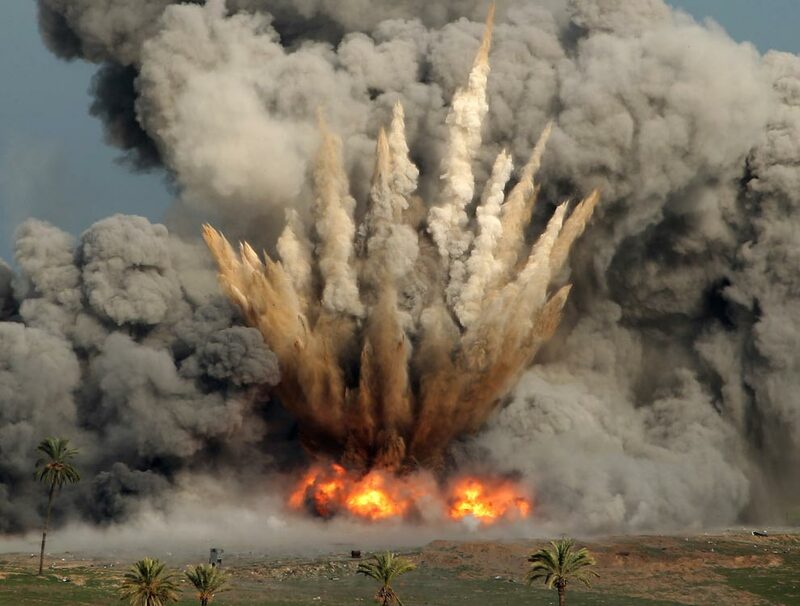 Smoke rises after an Israeli bomb exploded in Beit Lahiya in the northern Gaza Strip December 27, 2008. 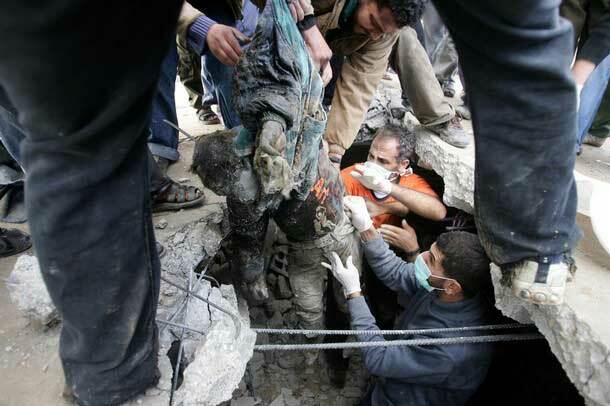 Palestinians inspect the site of an Israeli air strike in the southern town of Rafah. 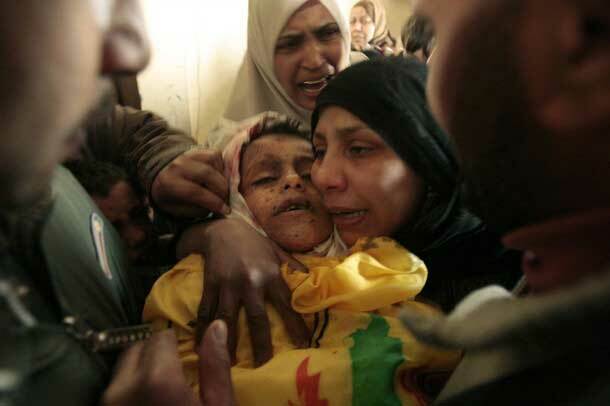 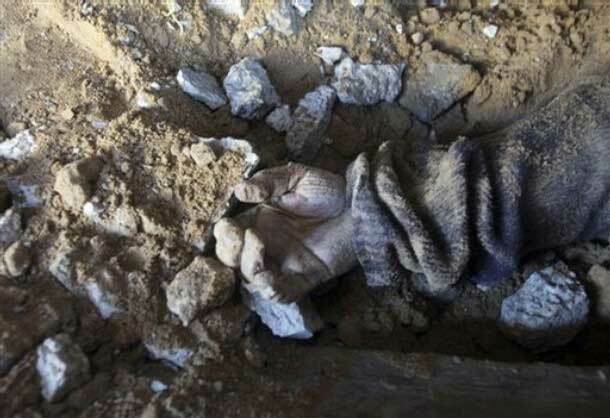 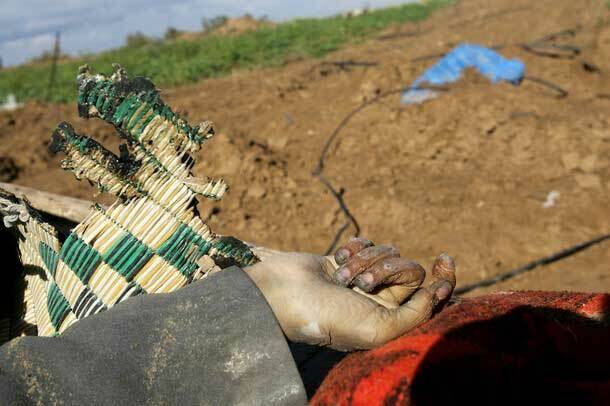 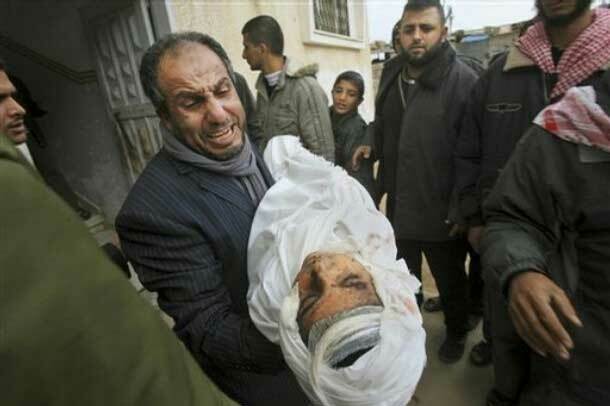 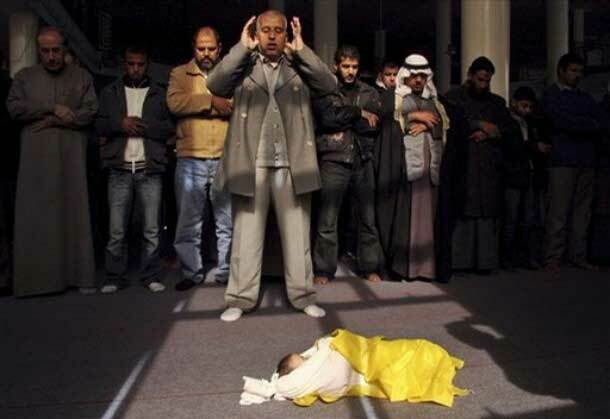 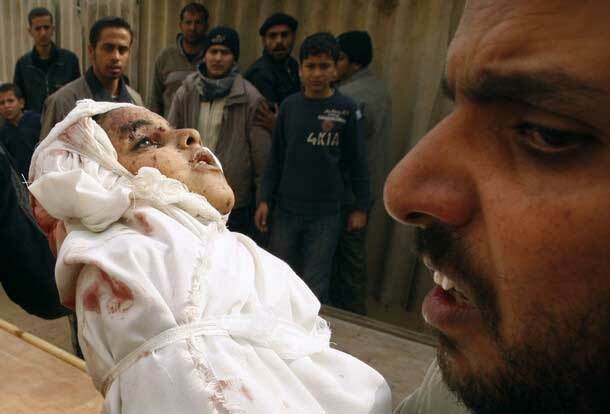 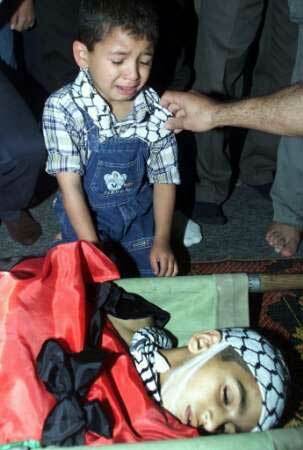 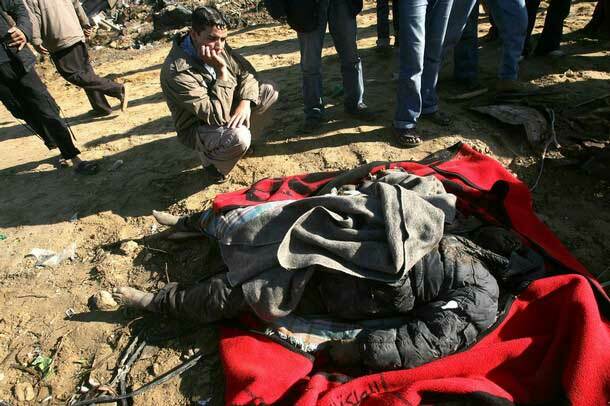 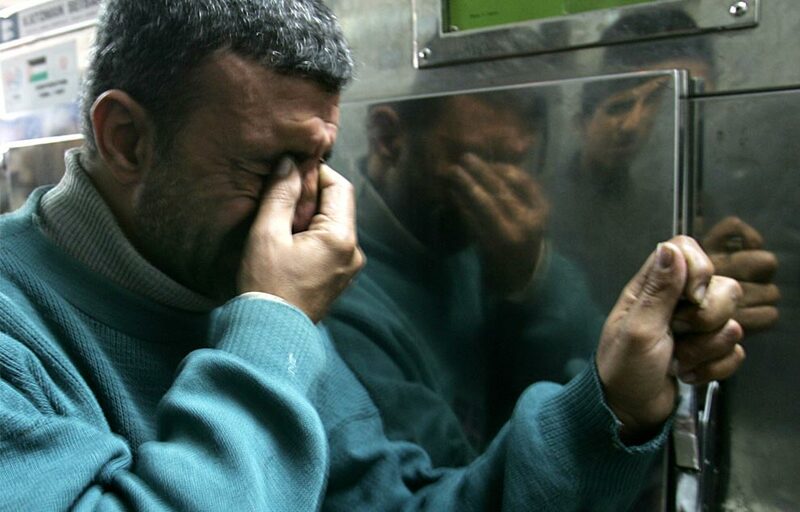 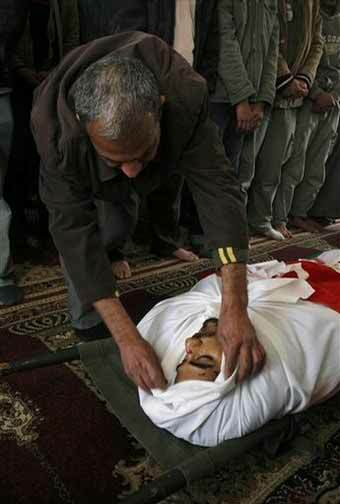 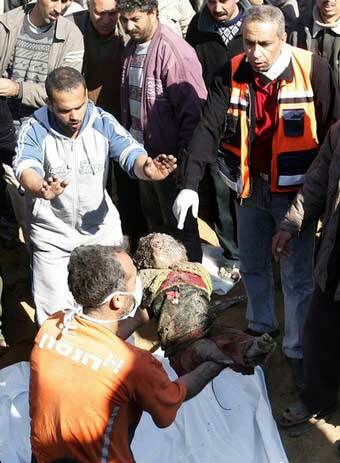 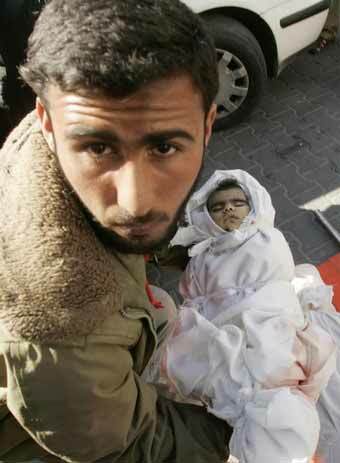 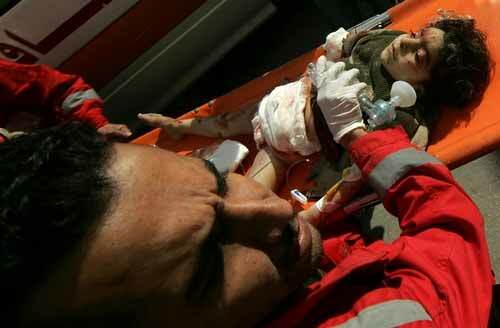 A Palestinian man cries over the body of his son following an Israeli air strike in Gaza December 27, 2008. 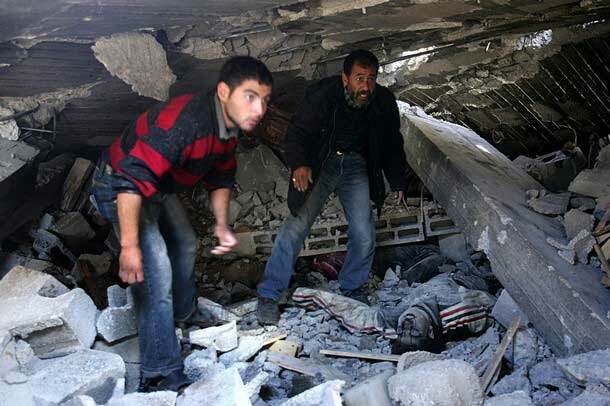 A Palestinian Hamas policeman inspects the destroyed former office of Palestinian president Mahmud Abbas. 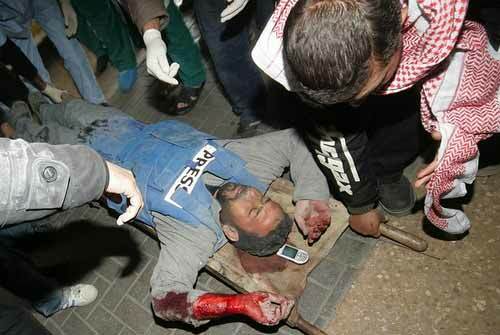 A wounded Hamas policeman lies on the ground following an Israeli air strike in Gaza December 27, 2008. 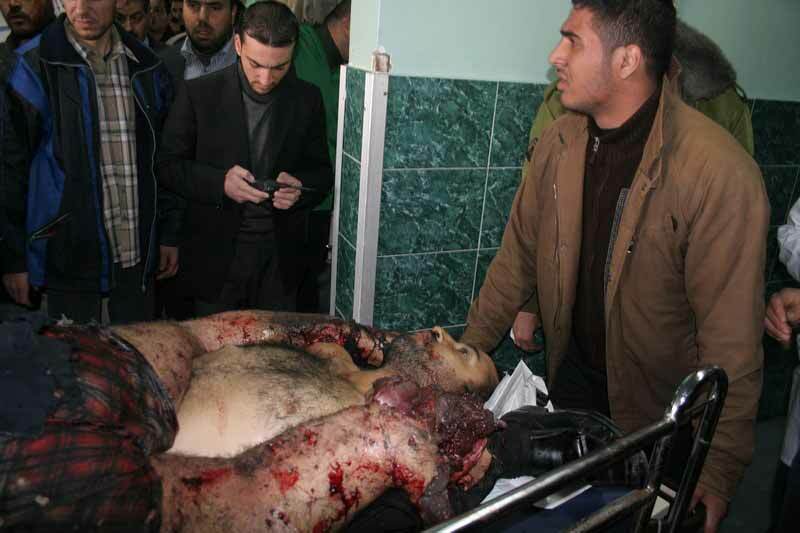 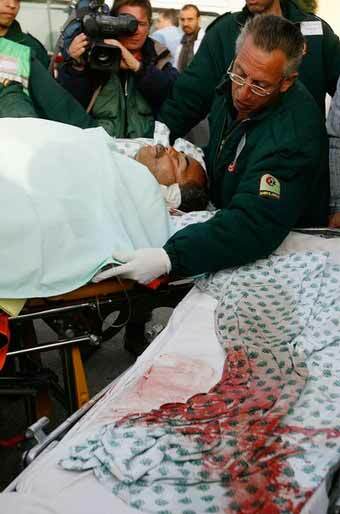 The body of a Hamas police officer is transported to hospital in Gaza City December 27, 2008. 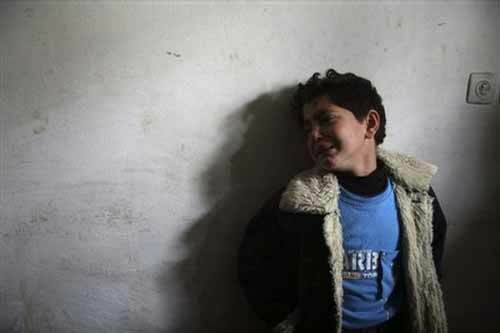 Palestinians gather at the site of a security compound used by the Islamic group Hamas following an Israeli missile strike in Rafah, southern Gaza Strip, Saturday, Dec. 27, 2008.
killed four sisters and a four year old boy. 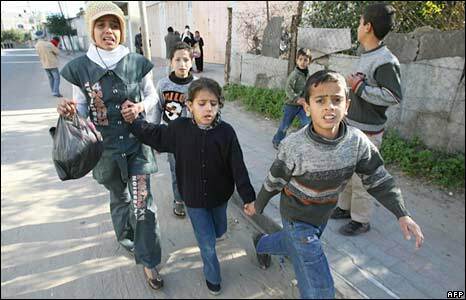 Over 40 children have been killed since Saturday. 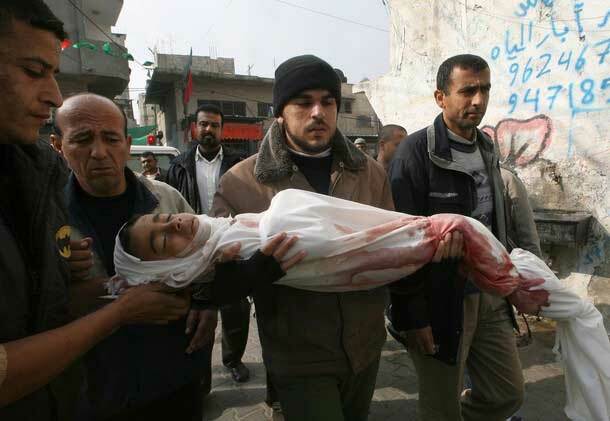 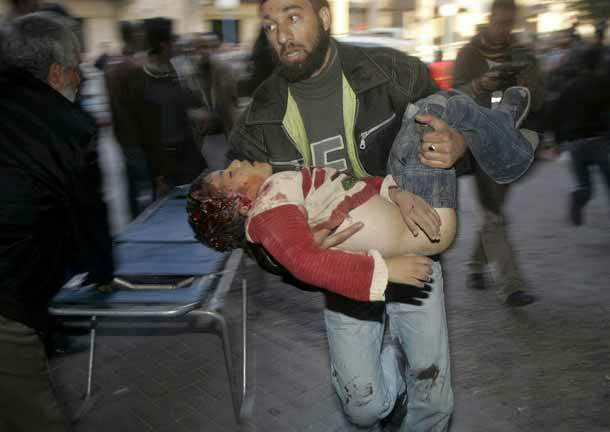 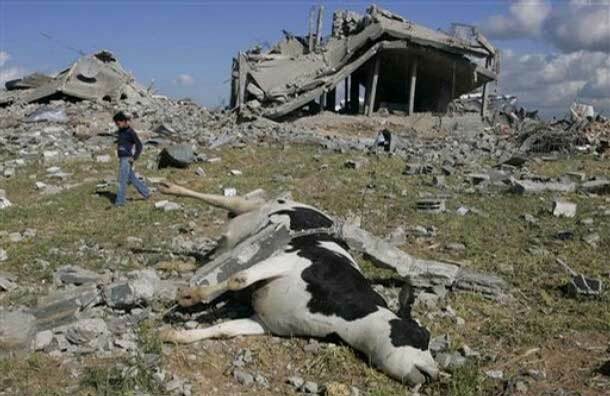 Gaza Strip December 30, 2008. 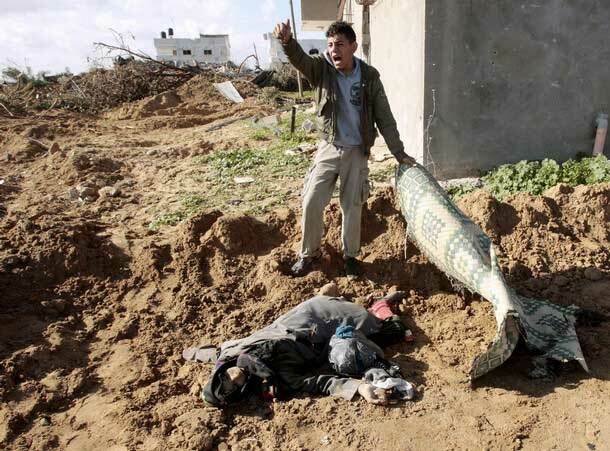 Rafah in the southern Gaza Strip December 29, 2008. 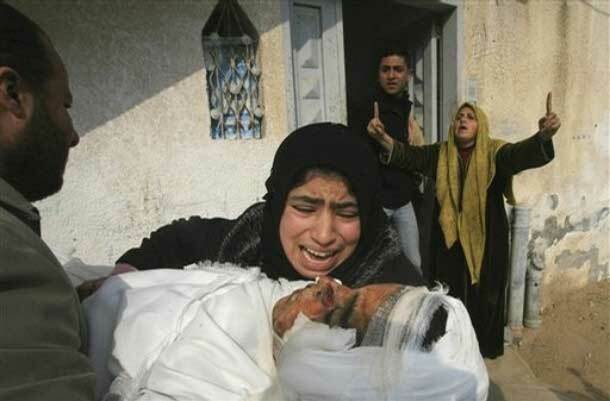 Gaza Strip, Monday, Dec. 29, 2008.
cemetery in the northern Gaza Strip December 29, 2008. 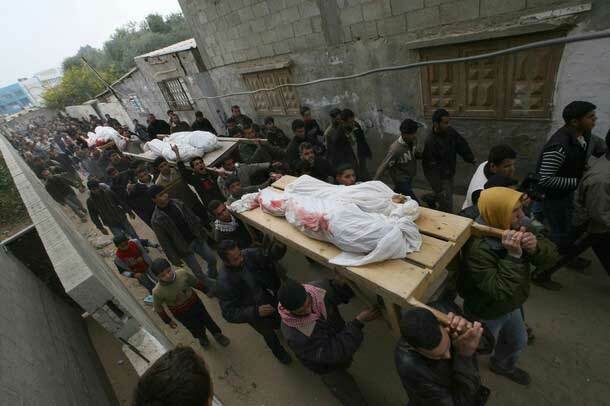 Gaza Strip December 29, 2008.
during their funeral in the Jebaliya refugee camp, northern Gaza Strip, Monday, Dec. 29, 2008.
cemetery in the southern Gaza Strip December 29, 2008.
in the northern Gaza Strip, Monday, Dec. 29, 2008.
who were killed in Israeli air strikes on Gaza Strip. 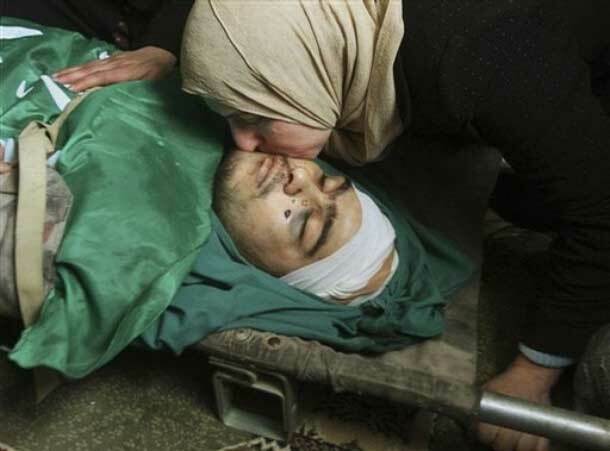 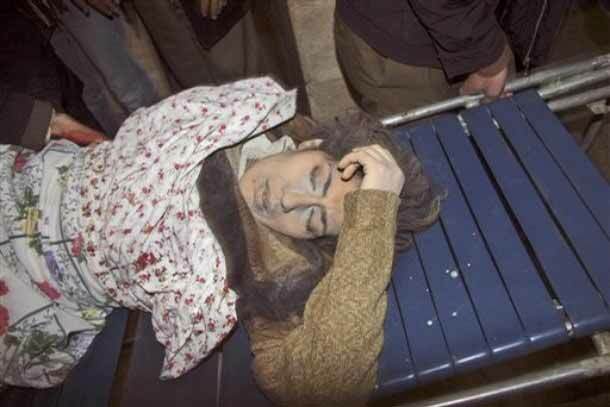 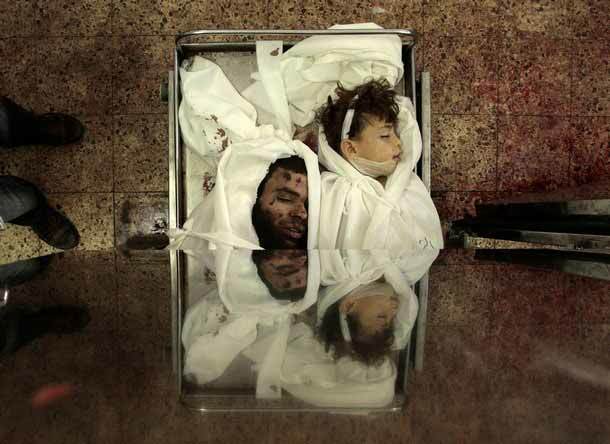 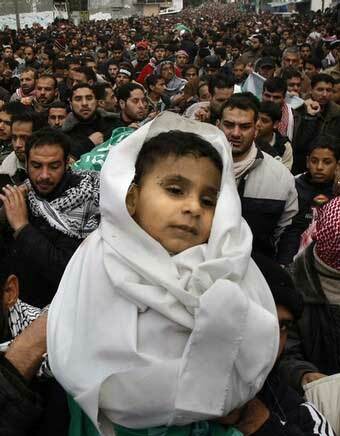 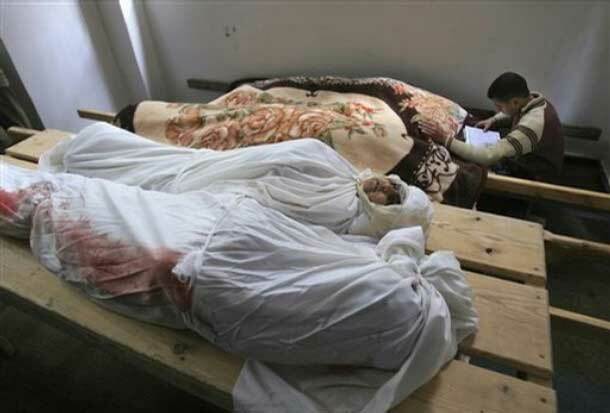 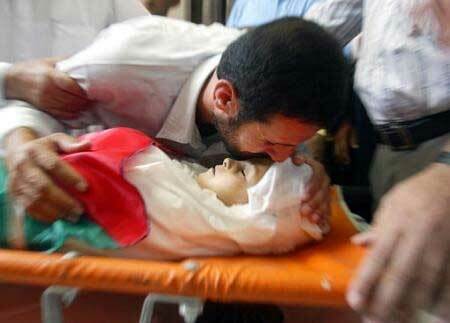 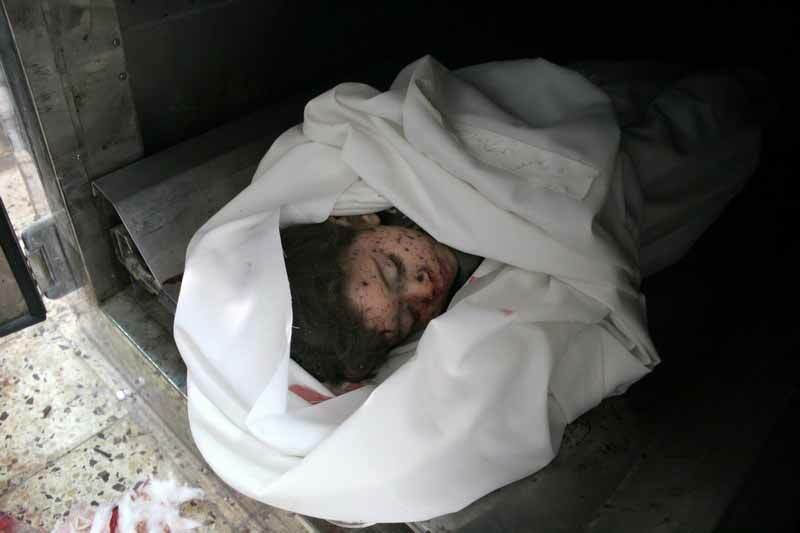 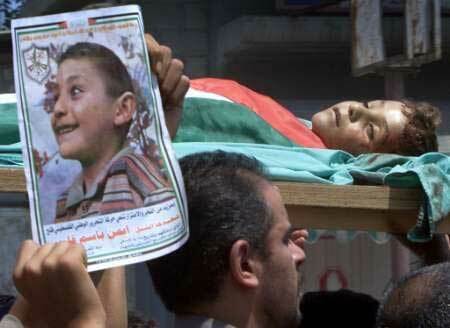 were killed in one Israeli strike. 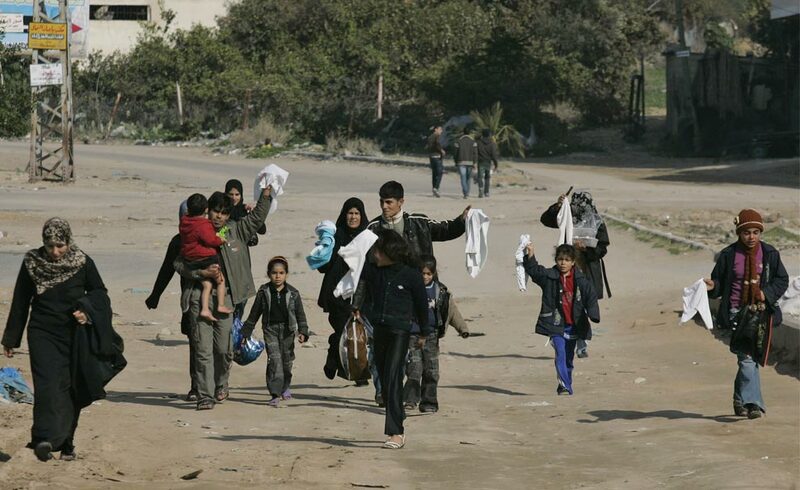 across Gaza in Gaza City on Saturday Dec. 27, 2008. 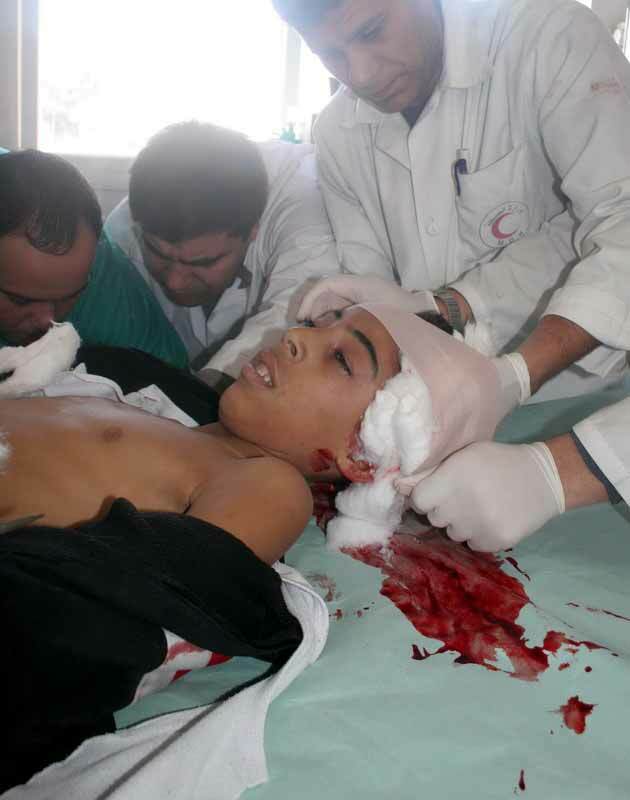 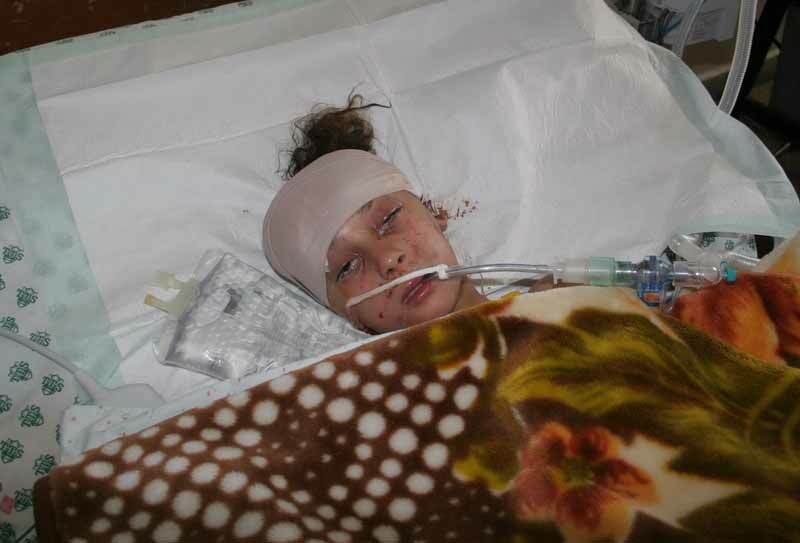 Israel air strike in Gaza December 28, 2008.
emergency room at Shifa hospital in Gaza City, Saturday, Dec. 27, 2008.
emergency area at Shifa hospital in Gaza City, Saturday, Dec. 27, 2008.
northern Gaza Strip, Monday, Dec. 29, 2008. 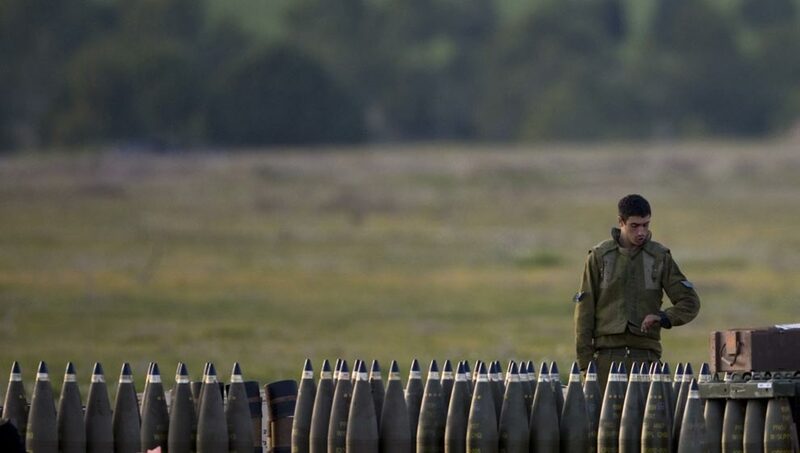 Ces jeunes israéliens regardent avec curiosité et humour les bombardements de l’armée israélienne . 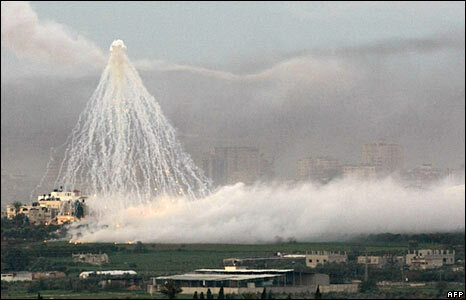 On regarde à la jumelle , on rit , on s’appelle pour décrire le moment , mais ce n’est pas pour décrire les festivités du jour de l’an … C’est pour profiter du moment d’extermination de la population palestinienne !